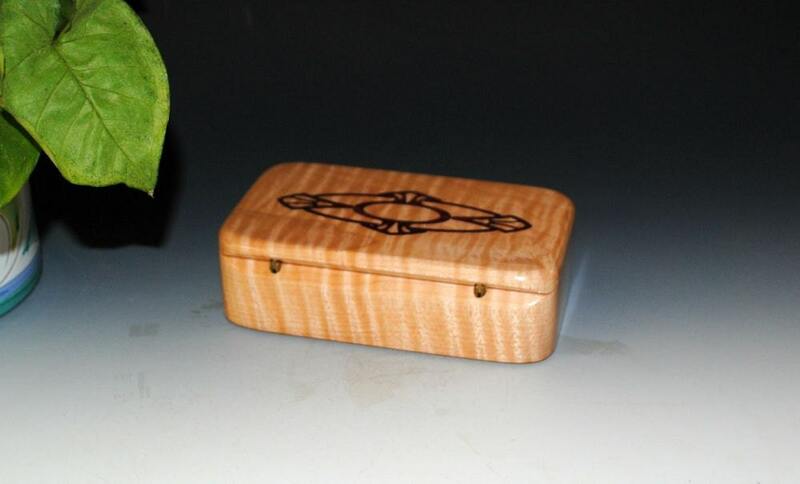 Handmade wood treasure box of curly maple with a purple heart art deco design inlaid in the lid by BurlWoodBox. 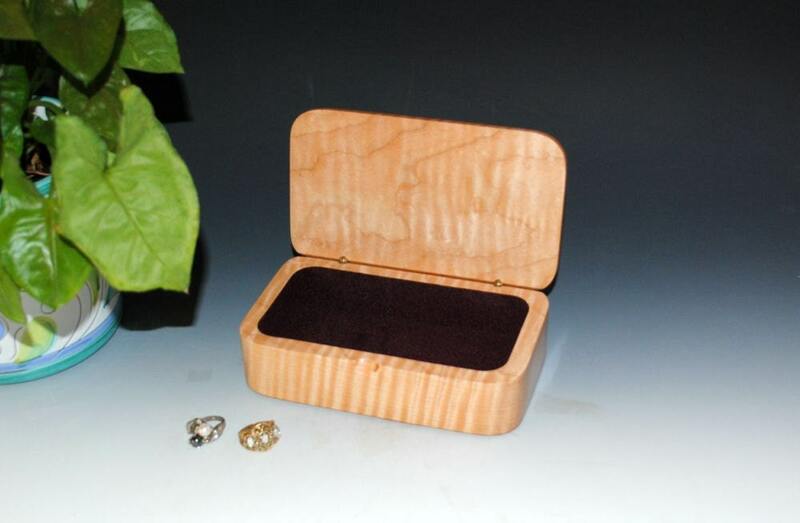 This small wooden box can be used as a jewelry box, a stash box for special keepsakes or treasures, or as an elegant gift presentation box. 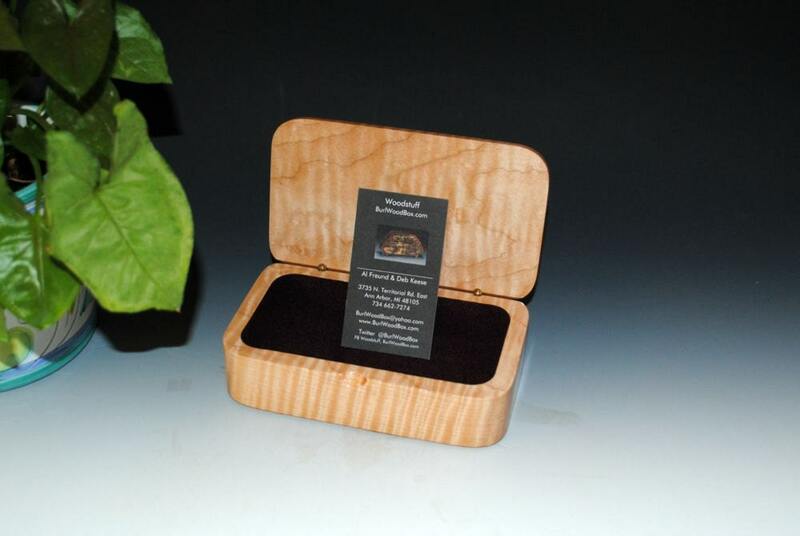 Hand-rubbed tung oil finish with poly undercoats for better sealing properties. Many, many coats are required to produce this durable finish. 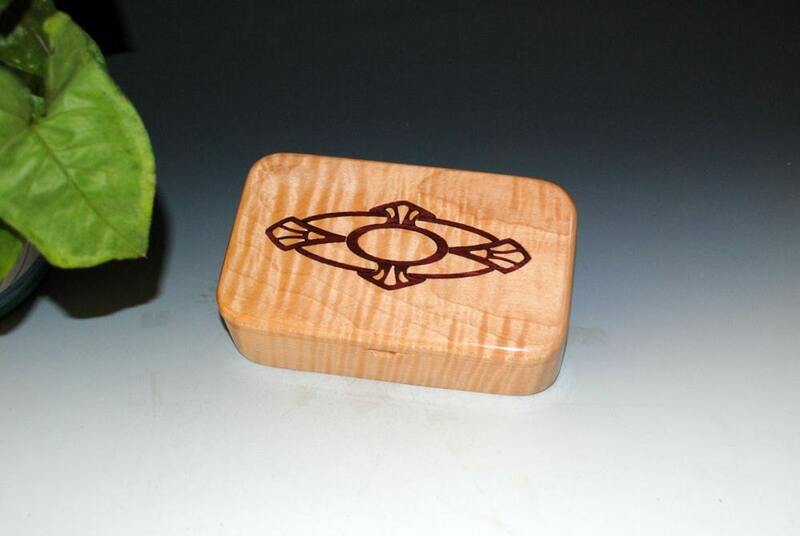 The perfect gift for your old hippie friends? Shipping is via USPS Priority Mail with 2-3 day delivery. If you reside outside the USA you will need to contact us so we can determine an exact shipping cost. 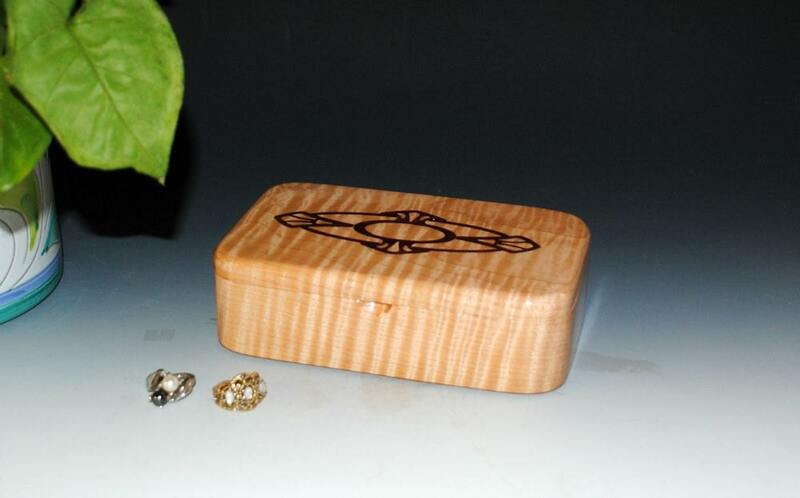 You can see our additional styles of wood boxes from our main shop page, link follows.